Every three or so months my husband and I book flights to Melbourne and run away for the weekend. The first time we went was about 2 years ago. I spent the first trip tormenting myself for leaving the kids with their grandparents. The two nights however went by quickly and we were home before I knew it. I rushed home to find three very happy kids who had clearly spent a great weekend being over indulged by their doting grandparents. Clearly I needed to get a more realistic perspective on my kids’ resilience. So when my husband and I booked our next trip to Melbourne, I was in a much better place and ready to actually give relaxing a go! This time I did start to relax… on the day we were scheduled to fly back home to Sydney. It’s many trips down the track now and I can honestly say these day I switch into ‘Melbourne’ mode the minute we start our drive to the airport. 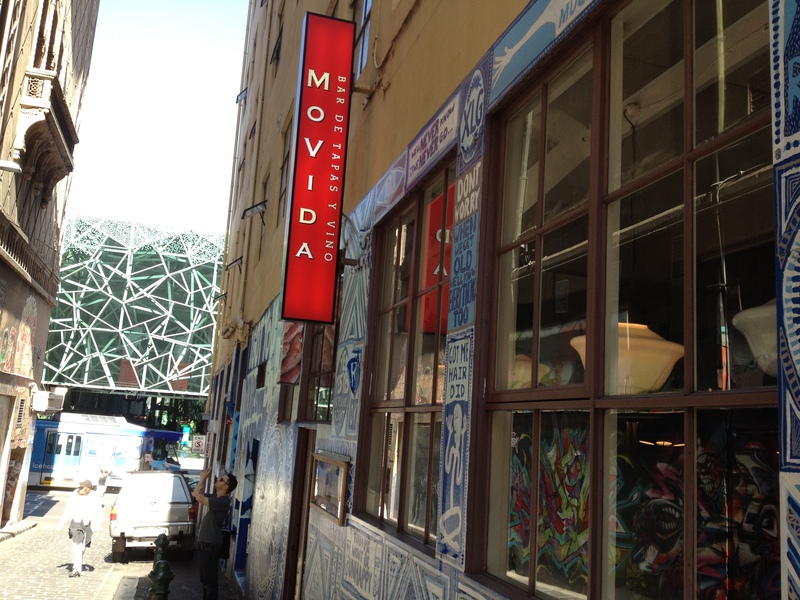 By the time we land in Melbourne, I can feel the tension leaving my body and as we sit down to lunch at our favourite restaurant, Movida, I’m feeling giddy with joy! We are like two teenagers as we choose dishes we want to eat! We don’t have to try and find things that the kids might like, we can actually choose dishes with chillies and strange sounding names and ingredients! We giggle with excitement! 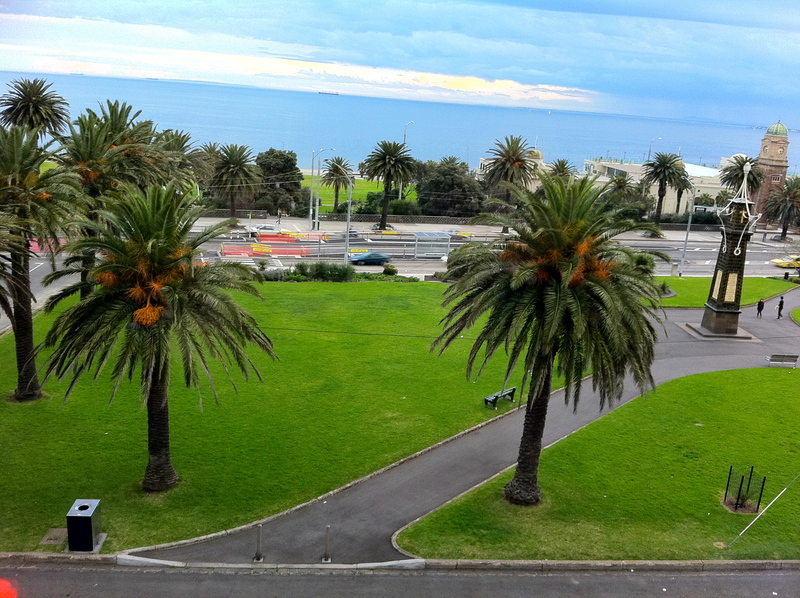 Before heading out to the sea-side town of St Kilda to check into our hotel. I open the curtains, we take in the views and do absolutely nothing! Nothing! We talk, read and relax until dinner. Then we get dressed and walk down to St Kilda’s main street for dinner. 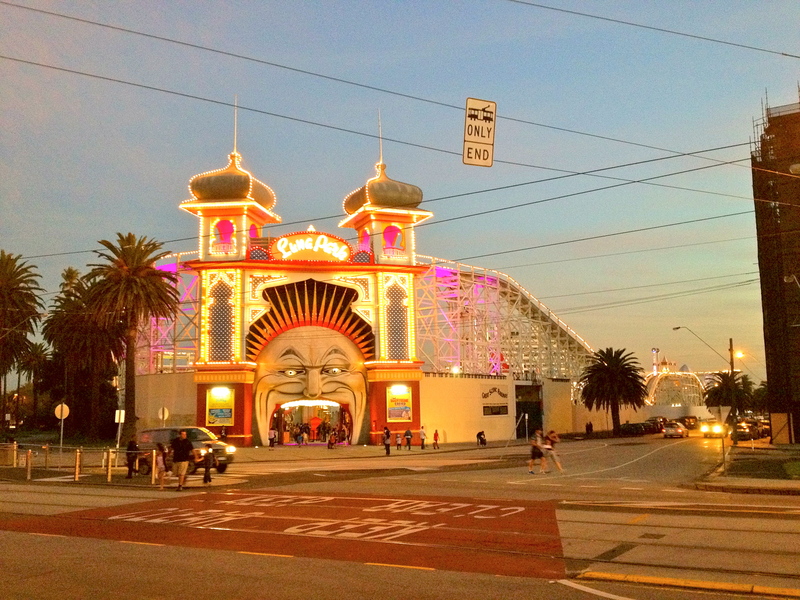 And we get to walk past Luna Park without arguments and tears about why we can’t go inside! So. What does all this have to do with brownies? The thing about living in Australia is that there are many recipes I see online or in books that have ingredients I can’t find here. I’ve found some after a lot of searching in specialty shops and I’ve managed to substitute others with what we have available here. However, in the back of my mind is a list of ingredients I’m always on the lookout for. 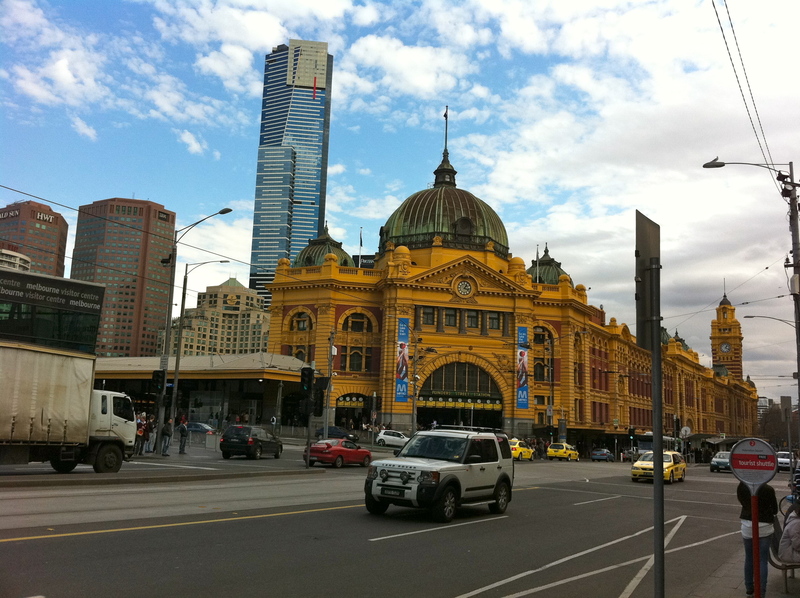 Melbourne is known for it’s shopping and it’s amazing restaurants. So I’ve always thought if I’m going to find these ingredients anywhere, it will be here in Melbourne. A few months ago, I was looking for a brownie recipe to use up my stock of chocolate I had built up over time. 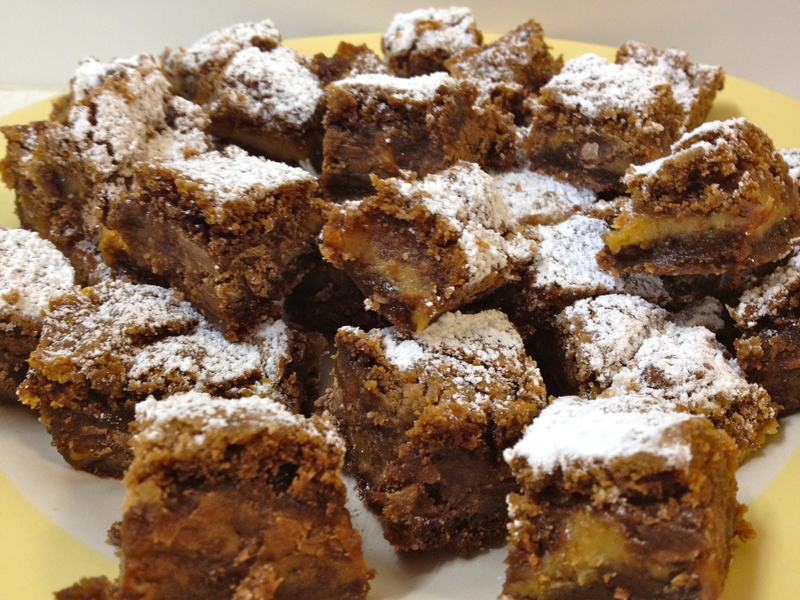 I came across The Pioneer Woman’s Knock You Naked Brownies. Now these weren’t going to solve my chocolate stock problems as they were made with a German Chocolate Cake Mix, but they looked so good I couldn’t get them out of my mind. I went straight to our local Woolworths supermarket, and of course, there was no German Chocolate Cake Mix. I was tempted to substitute with a plain chocolate cake mix but I remembered Ree Drummond emphasising the importance of using the German Chocolate Mix. So another ingredient went on my list of things to keep a lookout for. Until last weekend that is! I have now crossed German Cake Mix off my list! Yay! I found it in Melbourne and couldn’t wait to come home and make Ree’s brownies! I had my son and four of his friends running in and out of the house with skateboards and soccer balls. Then my daughter sent me an SMS on her way home from school asking if 5 of her friends could come over and hang out at our house since it was Friday. I was making Knock You Naked Brownies! I really wanted the kids to enjoy these so I left the nuts out of the recipe. And I have to say these really are a knock out. My husband ate them hot out of the oven. He ate them cold out of the fridge before I had the chance to dust them with icing sugar and cut them. And as we ran the kids to soccer, netball, umpiring duties, parties and get togethers he sent me texts to tell me he just ducked home and ate more brownies and that I was never, EVER allowed to make these again because he can’t stop eating them! I cut them into bite size pieces and I left them on the kitchen bench. I have to say I like them best at room temperature. The plate is almost empty now. Less than 24 hours since I made them. If you want to check out The Pioneer Woman’s photos (which are way better than mine!) 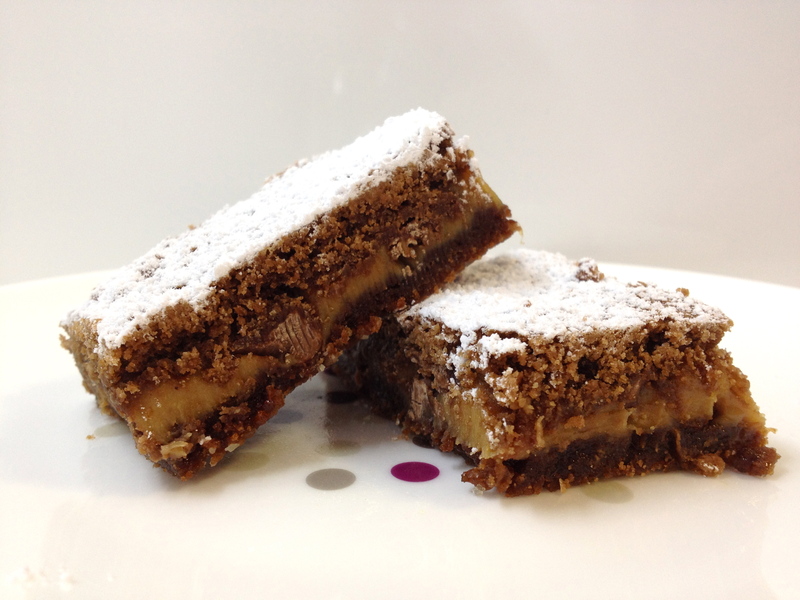 and the recipe, just click here! Tags: baking, brownies, cakes, chocolate, cooking, food, recipes, the pioneer woman | Permalink. 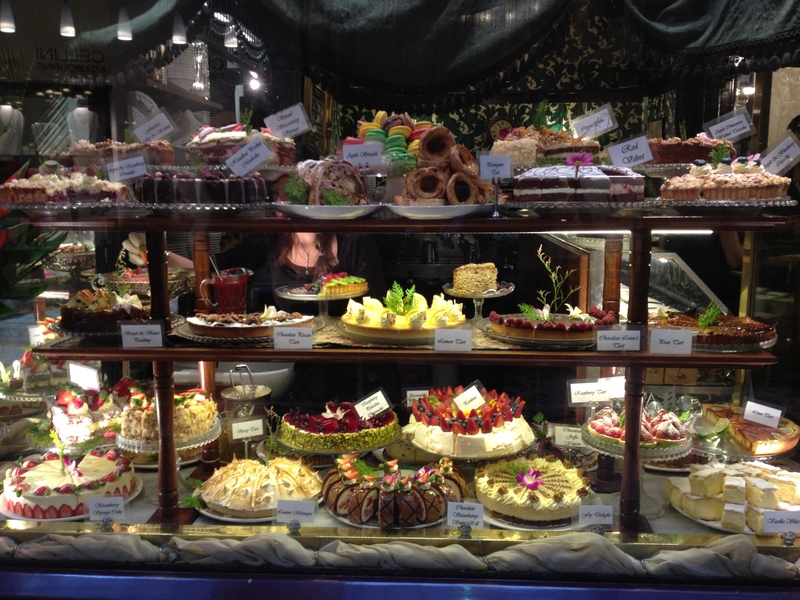 ah but Pioneer Woman doesn’t have lovely pics of Melbourne to cheers us us on a drizzly day! great post!